The Sohrabuddin and Ishrat encounter cop NK Amin assumed the charges at the State Crime Record Bureau at Gandhinagar on Monday. 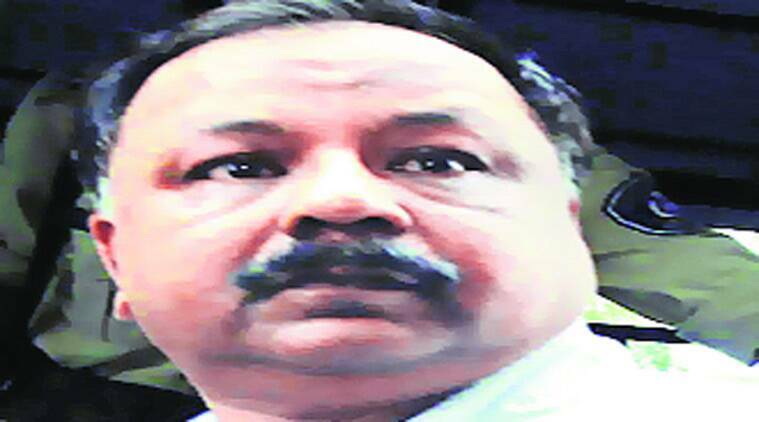 The CBI in its brief reply said if bail is granted to Amin, the only policeman behind the bars in the case, he may tamper with the evidence. Deputy SP Narendra Amin who was recently granted bail in Ishrat Jahan encounter case was reinstated on June 5 by the state government. The Indian Express had on May 17 reported first about the State Government’s decision about reinstating Amin in Gujarat Police. With Amin back to Gujarat Police, all key encounter cops in Sohrabuddin Sheikh and Ishrat Jahan encounter case are back to service after spending jail term of five to eight years respectively. Amin joined the SCRB office in the morning and was greeted by all his old colleagues and officers. He was one of the most revered and also feared officers among the Inspectors and Sub-Inspectors in Gujarat Police. The policemen who worked with him in the Ahmedabad Crime Branch gave him a warm welcome at the SCRB office. Considered as one of the non executive postings in Gujarat Police, Amin is contended with the post as he wished for a post in Gandhinagar and the State Government too wanted him to remain in Gandhinagar. His old friend and aide Abhay Chudasama posted SP Vigilance and his former boss at the Ahmedabad Crime Branch, P P Pandey posted as additional DGP (law and order) are also posted in Gandhinagar. Other IPS officers in service, who are out on bail in the Ishrat case, including Additional Director General of Police P P Pandey, who is now heading the Law and Order department, and Superintendent of Police G L Singhal, who is with the Armed Units. A 1996 batch IPS officer, Amin is the senior-most deputy SP in Gujarat Police and the only one in this batch of Deputy SPs. He was in judicial custody in Vadodara Central Jail till he was granted bail. After spending more than eight years in Sabarmati Central Jail in Sohrabuddin case, Amin was shifted to Nadiad sub-jail and later to Vadodara Central Jail. Amin’s judicial custody had its share of controversies. When in Sabarmati Central Jail in 2009 in the Sohrabuddin Sheikh encounter case, Amin had alleged that Rajkumar Pandian (now posted in GIDC Mumbai) had attempted to kill him. Amin had also sought to turn approver in the same Sohrabuddin fake encounter case which was rejected by the court. As per the CBI chargesheet, Amin was heading one of the shooting squads formed by then DCP Crime DG Vanzara while other was headed by GL Singhal, also ACP in Crime Branch during the encounter. The CBI investigation had found him as one of the key accused who plotted and executed the encounter killings of Ishrat Jahan, Pranesh Pillai alias Javed Shaikh, Zeeshan Johar and Amjad Ali Rana. Amin who was a doctor before joining Gujarat Police is reverred a lot among his Inspectors and Sub-Inspectors. His counterparts have considered him to be one of the sharpest police officers in Gujarat. During the post Godhra riot period in the state, Amin was the key officer who had filed cases against several for the alleged ‘ISI conspiracy’ theory floated by the then Ahmedabad Crime Branch officer DG Vanzara (now retired). Vanzara and Amin were the two key officers who arrested several Muslim men under the Prevention of Terrorism Act (POTA). Amin is also a MBBS doctor by profession had practiced medicine before appearing for the State Public Service Commission and joined the force as deputy SP. Ishrat Jahan fake encounter case.